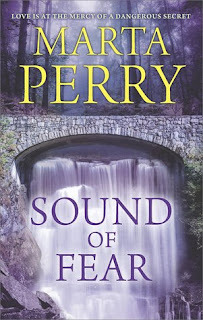 This is my second time back in Echo Falls, and with author Marta Perry, while these falls are lovely, and sure would like to see them, there is a lot of danger here. 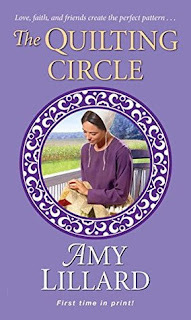 We are back with some old Amish friends and a certain law firm, but this book can be read alone, and you will be hooked once you turn the first page. My mind kept switching as to whom the culprit was, and I was very surprised in the end, and all because of greed. Our main character is a grieving daughter, and searching for her roots, in surprising twists, and in the end not knowing whom she is with her mother gone, but wait for the twists in this story. There is a bit of romance here, but with the sense of loss so fresh, and the findings so new, both are going slow, and be ready for so much to unfold, and danger around each corner. I for one can’t wait for the next book in this series, mysteries at the finest. To most townsfolk, he's known simply as The Beast. Annabelle Beiler has little interest in gossip, but she's heard about Adam Herschberger's scars and his gruff, solitary ways. Though he sounds like a character from one of Belle's treasured books, the man is real and, it turns out, just as unreasonable as the rumors claim. When a buggy accident wipes out the last of her daed's money, forcing him to sell their farm, Adam buys it. Then he offers Belle a deal--marry him, and her family can keep their home. Everyone is shocked by Belle's decision, but she's determined to be a good fraa, cleaning Adam's rundown house and tending the overgrown garden. Breaking through her new husband's icy reserve will be another matter. 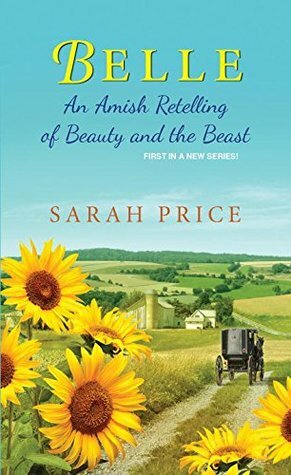 Belle's courage and strength are abundant, but it will take true faith to guide Adam back to the heart of his Amish community--and to the loving marriage they both deserve. A delightful retelling of a classic story “Beauty and the Beast” and the author does it with an Amish twist. Sarah Price helps us understand that people are fallen, and being a member of a religious community, does not guarantee that they all live their faith. Surprises abound as Belle begins her journey to become Adam’s fraa, from her childhood home to her new married abode, and yes we get to see these through her eyes. You will soon be sweeping and cleaning before you can even move in, and then what, delightful, and yet serious at the same time. From the first to the last page it becomes a quick page-turner, and you will be captured in the retelling of this great tale, and then you will be teased into waiting for the next. 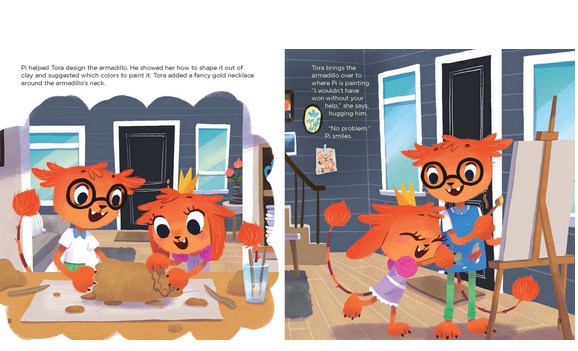 Youngest quilter Clara Rose Yutzy is planning her wedding to her longtime beau—which is why she resolutely ignores newly warm feelings for her best friend, Obidiah. But Obie is certain God intends them to be together. With the Lord’s help, he’ll prove to Clara Rose how much he loves her . . .
Mariana Miller prayed for a child throughout fifteen years of marriage. But now, newly widowed, Mariana discovers she’s pregnant—with twins! She’s more grateful than ever for her caring community—especially Reuben Weisel, her late husband’s business partner and best friend. 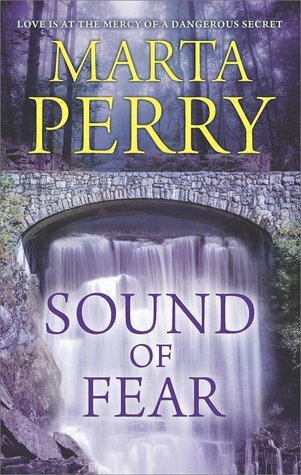 Reuben’s quiet strength comforts her—until he proposes marriage . . .
Tess Smiley is new to Wells Landing and newly married. But her marriage isn’t the harmonious union she envisioned. Tess loves Jacob with all her heart, but her heart tells her she must take a stand—and ask for support. Only then does Jacob see how he has hurt her. But is he too late? 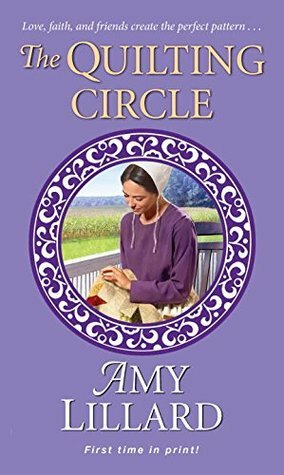 Three of the authors Amish stories in one book, each will tug at your heart, and keep you page turning, and then in the end wanting more. Sometimes you cannot see what is right before your eyes, and then again sometimes what is before your eyes is what is really meant to be. These stories make you realize that we don’t always get what we want, but God knows his plans, we just need to live our lives. These are just the right size to snuggle down with and enjoy, but you might not be able to stop with just one. WHEN UNEARTHING A NATIONAL TREASURE BECOMES A NATIONAL INCIDENT Dennis Alexander: Washington Academy Middle School promises to be another in the long line of boring schools he has been expelled from. Rhonda Snodgrass: Although trained from childhood in survival tactics, she tries to stay off the radar of the “cool” kids who think she’s weird. 7th grade turns out to be anything but normal when teachers announce the students’ bloodless revolution succeeded and they are now in charge. After conducting a secret-ballot vote on policy, the 7th graders emerge to find the school evacuated and the FBI lurking outside with the task of unearthing a treasure of national importance. The students’ mission is clear—discover the treasure before the FBI locks down the building. Dennis and Rhonda lead the revolt and must work together to follow century-old clues left by a crazy Revolutionary War buff. To stay one step ahead of the FBI, they must delve into history and amass an arsenal to defend their school … because this is WAR! Excerpt: Now came the scary part. She closed her eyes and pushed off with her feet. The rock she clung to dug at her hands, but she held fast. Her stomach plummeted when nothing but air supported her feet. She scrunched her eyelids tighter. Probably not the best way to find a foothold, but if she looked now, she’d fall before she even got started. Bam. Her body slammed into the wall. She kicked her feet in a bicycle motion. She probably looked like a goof, but she didn’t care. She sighed when her foot found purchase on the side. But now she’d have to move her hands. Might be impossible to do with her eyes closed. “C’mon, Rhonda. You can do it.” She nearly lost her grip. Spencer? Spencer Jackson had just encouraged her? One eye popped open. Was that a handhold? Her lid fluttered as she forced the other eye open. It was. And it was a handhold within her reach. She took a deep breath, said a quick, “Oh Lordy,” under her breath and stretched her arm out. Her fingers locked on the rock. Ooh. A good place for her foot. She moved it and shifted her weight to the left. The crew on the shore clapped. Rhonda flushed. She wasn’t used to having her classmates encourage her. Especially in athletic things. That she felt more secure after she moved than she had hanging on for dear life surprised her. Crossing the inlet might not be too bad. Curtis didn’t waste any time. As soon as she had shifted to the left and let go of the original rock, he grabbed it, ready to go. It made her feel better knowing he’d be close to her in case something bad happened. “I’m going to stay right beside you, but a little lower so I can help boost you if you need help.” She hoped she didn’t need the help. But she did feel better knowing she was tied to both boys. Every time she shifted closer to Dennis, he shifted closer to the other shore, and Curtis moved closer to her. She smirked. They played a game of chase in slow motion. Goodness, she was glad the FBI weren’t chasing them through here. She’d have to throw her hands up and surrender on the spot. Dennis continued to call out encouragement to her. Her confidence built with each successful move. Right before she reached the halfway point, Dennis jumped down on the other shore. “Okay, next person up.” Dennis called to the others waiting. Selena grabbed the rock before anyone else. Whoops. Rhonda got lightheaded when she turned to watch Selena start. She exhaled. No more looking back. Keep your eye on the goal. Exactly what her dad always told her. She passed the halfway mark when the hand-and-footholds dried up. Dennis made it across, but his arms were longer than hers. “Can you reach the rock to the left and up a bit?” At least Curtis realized her problem. I don’t know. It looks kinda far for me.” “I think it’s your best choice. And it looks easier after that.” Yeah, but what if she couldn’t reach it? But then again, she couldn’t stay in the middle of the wall for the rest of her life. Ultimately, her fingers and toes would give out. “I’ll try.” Rhonda stretched her arm up and strained her fingers. Not quite. She pushed up on her toes … And missed. $100 Amazon Gift Card or Paypal Cash Giveaway Ends 11/12/17 Open only to those who can legally enter, receive and use an Amazon.com Gift Code or Paypal Cash. Winning Entry will be verified prior to prize being awarded. No purchase necessary. You must be 18 or older to enter or have your parent enter for you. The winner will be chosen by rafflecopter and announced here as well as emailed and will have 48 hours to respond or a new winner will be chosen. This giveaway is in no way associated with Facebook, Twitter, Rafflecopter or any other entity unless otherwise specified. The number of eligible entries received determines the odds of winning. Giveaway was organized by Kathy from I Am A Reader and sponsored by the author. Tora's prize-winning ceramic armadillo has been broken by her little brother! How can she ever forgive him? By asking God for help! 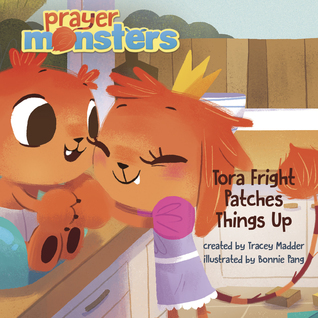 Tora learns that God is always willing to help us forgive others when we ask him. 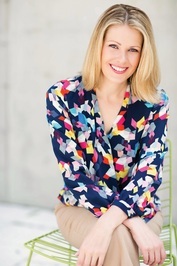 Tracey Madder is an author and content creator for children. She has over ten years of experience in the entertainment industry, working internationally as a model, actress, and photographer. Then she stepped out of the spotlight to raise a family, and now it is the title of “stay-at-home mom” that she is most proud of. 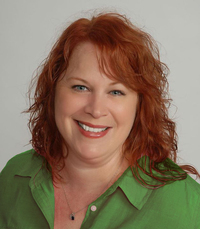 Inspired by her four kids, Tracey began creating children’s content in 2014. 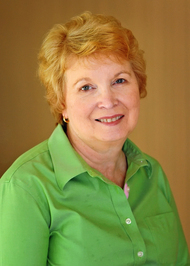 She is the author/creator of The Story Travelers Bible and the Prayer Monsters brand. What a darling way to show love and compassion in a family, starting with our little ones and family. This sweet book has lovely eye catching illustrations that show each step of the way and highlights the Prayer of Forgiveness. From beginning to end and page-to-page family is the heart of this book and above all relying on God! This book is a keeper in our home and a great way to highlight forgiveness to siblings. I received this book through the Tyndale Blog Network, and was not required to give a positive review. 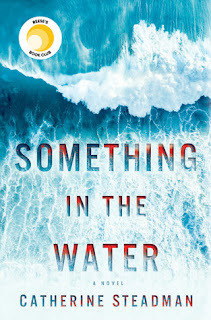 In continuing her career-makeover quest as a for-real detective, ex-teen and reality star Maizie Albright has a big learning curve to overcome. A sleuthing background starring in a TV show— Julia Pinkerton, Teen Detective—does not cut the real life mustard. It doesn’t even buy her lunch, let alone extra condiments. Her chosen mentor, Wyatt Nash of Nash Security Solutions, is not a willing teacher. He’d rather stick Maizie with a safe desk job and handle the security solution-ing himself. But Maizie’s got other plans to help Nash. First, win Nash’s trust. Second, his heart. 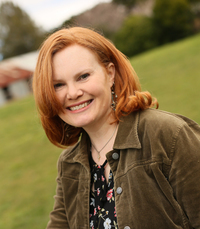 Larissa is a 2015 Georgia Author of the Year Best Mystery finalist, 2014 finalist for the Silver Falchion and Georgia Author of the Year, 2012 Daphne du Maurier finalist, 2012 The Emily finalist, and 2011 Dixie Kane Memorial winner. Her family and Cairn Terrier, Biscuit, have been living in Nagoya, Japan, but once again call Georgia home. See them on HGTV’s House Hunters International “Living for the Weekend in Nagoya” episode. 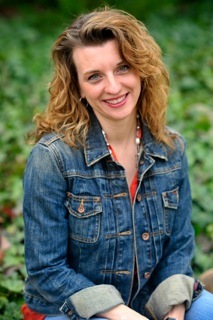 Visit her website, LarissaReinhart.com, find her chatting on Facebook, Instagram, and Goodreads, or join her Facebook street team, The Mystery Minions. 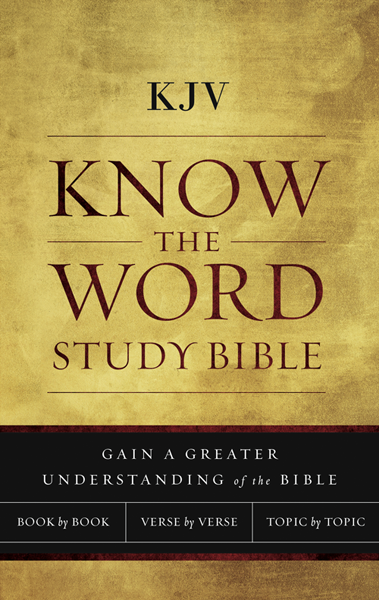 As the title states, this is a “know” the word study Bible, and yes it is a Bible, but it offers so much more. Depending on how you like to study, and I like to research as I read, this bible has it all right at your figure tips. I have my concordance, and this has it all built in, along with beautiful maps to follow. While it might be geared to a new Christian, I found it handy to have it all right there on each page. I personally am always trying to grow in knowledge, and find myself looking elsewhere for answers, so I loved that it is right here. According to the leaf jacket--You can read the Bible Book by Book; the book-by-book leads you through the main points of each of the Bible. Verse by Verse: the verse-by-verse notes help you to dig deeper into God’s Word. Topic by Topic: The Topic-by-topic studies, which cover 21 theological topics, guide you through a series of insightful notes and give you a through biblical understanding of each topic. 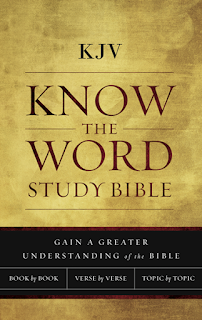 I am finding myself reaching for this Bible each day in my study of the Word. I received this Bible through Litfuse Publicity Book Tours, and was not required to give a positive review. Will a damaged reputation and desire for society's approval thwart the legacy of grace? Tainted by scandal and forced to leave London for the quieter Brighton countryside, the Honorable Miss Clara DeLancey is a shadow of her former society self. She's lost the man she loved to another and, in a culture that has no patience for self-pity, is struggling with depression. A chance encounter brings her a healing friendship with the sisters of an injured naval captain. But Clara's society mama is appalled at the new company she's keeping. Captain Benjamin Kemsley is not looking for a wife. But his gallant spirit won't let him ignore the penniless viscount's daughter--not when she so obviously needs assistance to keep moving forward from day to day. Can he protect his heart and still keep her safe? When they're pushed into the highest echelons of society at the Prince Regent's Brighton Pavilion, this mismatched couple must decide if family honor is more important than their hopes. Can they right the wrongs of the past and find future happiness together--without finances, family support, or royal favor? I am rather sad to say goodbye to this A Legacy of Grace series, and this book like the others is so good. I learned to really dislike Miss DeLancy in the first two books, but by the end of this one I had a complete change of mind. This time the author has us walking in Clara DeLancy’s shoes and I came to respect her, especially when she found faith. What a changed individual she has become, and made me think that maybe the cause of a lot of her problems was her mother? We are back with the Ton and experience a lot of society, what a completely different way of life, and what a life of luxury. We are able to keep our focus with the addition of everyday people, including a pastor and his wife. The little sister is a delight, and her brother becomes a person of interest in the affairs of Miss Delancy. Each of these books can be read alone, but they are all so good you don’t want to miss the enjoyment that they afford. I received this book through Kregel Publishing and their Blogger Program, and was not required to give a positive review. $100 Amazon Gift Card or Paypal Cash Giveaway Ends 11/5/17 Open only to those who can legally enter, receive and use an Amazon.com Gift Code or Paypal Cash. Winning Entry will be verified prior to prize being awarded. No purchase necessary. You must be 18 or older to enter or have your parent enter for you. The winner will be chosen by rafflecopter and announced here as well as emailed and will have 48 hours to respond or a new winner will be chosen. This giveaway is in no way associated with Facebook, Twitter, Rafflecopter or any other entity unless otherwise specified. The number of eligible entries received determines the odds of winning. Giveaway was organized by Kathy from I Am A Reader and sponsored by the author. Growing up in the shadow of three beautiful sisters isn’t easy when you’re average. Not that anyone in Violet’s family ever mentions it, but it’s pointed out to her again and again by everyone else. Guys don’t mind talking to her or hanging out with her, but she doesn’t make the cut as girlfriend material. She compensates for her lack of social life by staying busy. Holding down two jobs and working on her master’s degree is a decent enough smokescreen. What most people don’t realize is that her sensible, no-nonsense exterior hides the heart of a hopeless romantic. More than anything, Violet wants to love and to be loved. There was a time when Jackson looked forward to getting married and having a family, but all that ended his senior year of college. Because of the selfish actions of others, he had to walk away from someone he cared deeply about. Disillusioned and heartbroken, he resolved never to risk falling in love again. This means keeping his relationships short in length and light on commitment. As such, they never come close to touching his heart. This system works flawlessly until he meets Violet; someone who reminds him of what he used to be, and who makes him question whether he really is better off without love. Praise for the Book A "chance" meeting between Jackson and Violet leads them to a relationship that frees them from their hurting hearts and to a love that makes for a life worth living. Loved the line "The seemingly insignificant things are never unimportant, and chance meetings have little to do with chance." 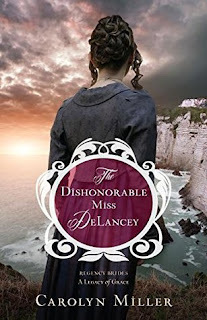 A most enjoyable romance from Delaney Cameron! Easily one of my favorite authors. I especially like how she shows the development of the relationship for our hero & heroine. A sweet, sweet romance. A beautiful story of unexpected love. A quick glance at her phone confirmed that she wouldn’t roll into Columbus until almost ten. She would have been further along if she hadn’t stopped in Dalton. The sight of a Carter’s outlet store had been too much of atemptation to pass up. She’d spent a happy hour browsing the racks and shelves buying baby clothes for her nephew Micah and her friend Holly’s daughter Rebecca. Hopefully Rachel remembered to feed Bluebell. Her best friend and roommate had become increasingly absentminded since she met Pierre, an exchange student from France. Not that Violet could blame her. If she hada guy whispering sweet nothings in French into her ear, she’d walk around with her head in the clouds, too. Ends 11/19/17 Open only to those who can legally enter, receive and use an Amazon.com Gift Code or Paypal Cash. Winning Entry will be verified prior to prize being awarded. No purchase necessary. You must be 18 or older to enter or have your parent enter for you. The winner will be chosen by rafflecopter and announced here as well as emailed and will have 48 hours to respond or a new winner will be chosen. This giveaway is in no way associated with Facebook, Twitter, Rafflecopter or any other entity unless otherwise specified. The number of eligible entries received determines the odds of winning. Giveaway was organized by Kathy from I Am A Reader and sponsored by the author.